Rooted in sensory-triggered memories – the performers’ own and those offered by the audience – Trace is an intimate meeting of strangers no more. Award-winning actors Michelle Polak and Martin Julien invite audience members into a shared space to collaborate in creating an always new, always unique story. The audience participates by sharing their memories of childhood, desire, joy and loss. They are guided by the performers as they glide between the past and the present. 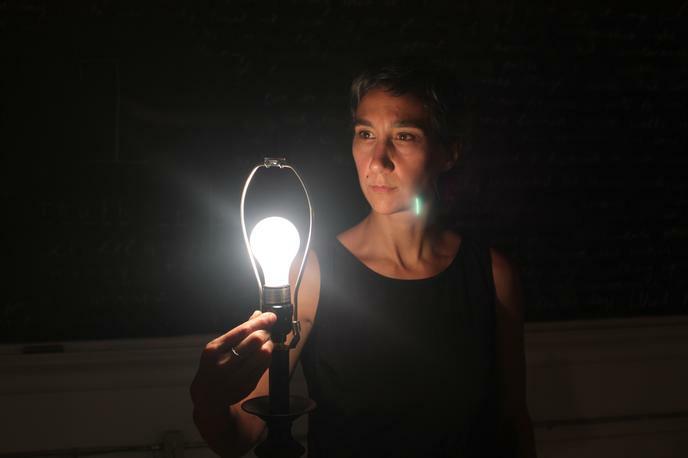 Trace received the NOW Magazine Audience Choice Award at the 2014 SummerWorks Festival in Toronto and received citations for Best Production, Best Direction, and Best Ensemble. Trace is a Vertical City Performance created through the Theatre Gargantua SideStream Cycle program. Vertical City is an award-winning interdisciplinary group of artists exploring the relationship between traditional theatrical performance and guided audience interaction. Theatre Gargantua is committed to the production of contemporary, original Canadian work. The SideStream Cycle supports our associated artists’ efforts to pursue individual and collective projects that explore new modes of performance. Stephen Hunt covers all things Trace: Mining Memory for Hidden Ghosts. To read the article, click here.